At Lanoue Chevrolet, we want to encourage students, that is why we offer the Student Bonus Program. We know that not all students have the budget to purchase or lease a new vehicle. 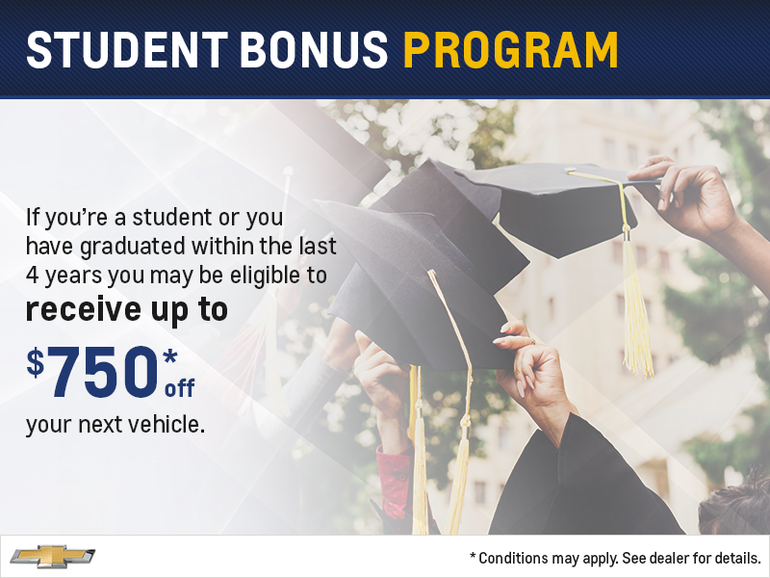 If you are a student or have graduated within the last 4 years, you might just be eligible to receive $750 off of your next Chevrolet vehicle. To participate, stop by Lanoue Chevrolet where we are happy to answer any questions you may have and help you find your dream vehicle.